Variable-rate application of fertilizer is a common practice for crop production in many states. The technology was introduced in the 1970s and '80s in some parts of Montana but never was widely adopted. NRCS developed a conservation initiative in 2003 in north-central Montana to encourage producers to evaluate the adoption of this practice on their operations. Improved water quality in surface and ground water would result from adoption of this technology. Improvements in plant health would also occur because nutrients would be applied according to the plant needs across the entire field rather than the average of the field. Farmers who can use site-specific management to determine the variability in nutrient needs within individual fields have a unique opportunity to improve their fertilizer use efficiency. To effectively use the new variable-rate technologies, the recommendations should be based upon detailed soil tests, yield maps, and other data sets. If possible, these data should be geographically-referenced using the global positioning system (GPS) to identify the exact location of each data point. 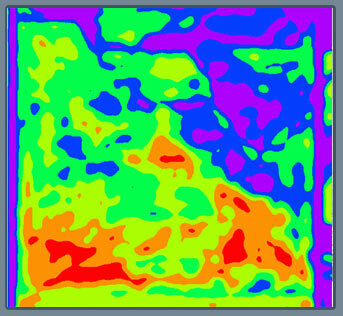 Maps showing the variability of each nutrient within the field can be prepared from these data sets, and then used to prepare maps of variability in fertilizer needs across the fields. These are used to develop the database to guide the fertilizer application, adjusting the rates on-the-go, either applying nutrients individually or in combinations of materials. Efficiency is improved because the amount of fertilizer applied is more closely matched to the estimated nutrient requirement for optimum yield for specific areas within the field. Field-average management tends to over-apply nutrients in low-yield areas of the field and under-apply in high yield areas. With site-specific management, rate adjustments are made on the basis of smaller, more uniform areas. Research has shown that one-acre grids are recommended for most intensive grain production areas with a long history of significant fertilization or manuring. 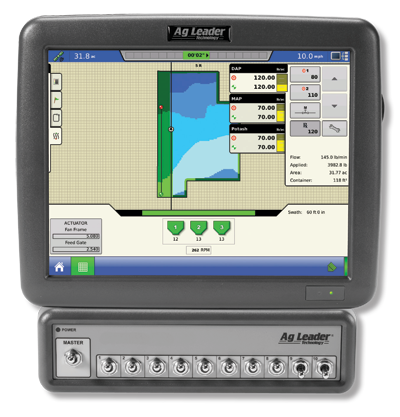 Variable-rate application maps are provided to the fertilizer applicator operator to be used in guiding the on-board controller to adjust rates to match the recommendation as the applicator moves across the field. For best results, a database and map of the amounts actually applied should be generated to verify the rates used and to help build a record of the variable-rate applications made in the field. These actual application maps should closely match the recommendation maps.